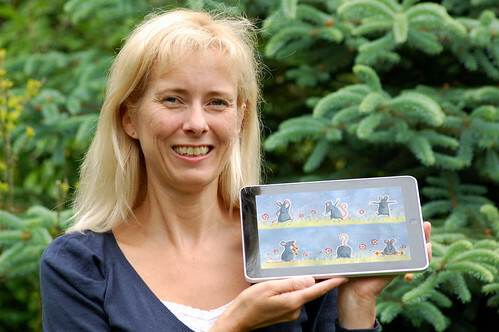 The adventures of a hare, a turtle and a duck have won a professional illustrator an accolade from international book publisher PanMacmillan. 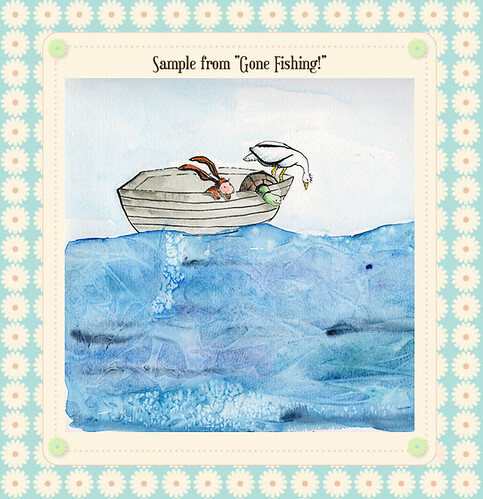 Gone Fishing, by Chantal Bourgonje, has been Highly Commended by the judges in the Macmillan Prize for Children’s Book Illustrations, one of only 13 books chosen from 300 entries to receive an award. “It was an incredible twelve hours,” she told Marlborough News Online from her Burbage home this week. Gone Fishing follows the story a hare, a turtle and a duck from bath time to a fishing expedition, an encounter with the mud monster and back into the bath to get clean again. Meanwhile, Fierce Grey Mouse is receiving plaudits of its own. This week Apple’s adjudicators listed it as ‘noteworthy’ – a boon to downloads. The app – which is available to read and play on the iPad, iPhone and iPod Touch – is animated and interactive. Chantal had to produce hundreds of slightly different illustrations to ensure the animation looked as smooth as possible. The book has been narrated in Chantal’s native Dutch, Spanish and six variations of English, including American, Australian, Kiwi, Irish, English adult and English child. The narration can be switched off and the newspaper cut-out text can be replaced by an easy-to-read font to encourage children to explore the book for themselves. 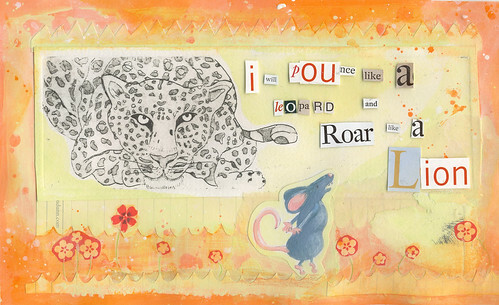 The Fierce Grey Mouse follows the fortunes of a little mouse who eats his porridge, drinks his milk, does his exercises and practices his pouncing in a bid to be as fierce wild animals like the leopard and the eagle. It is aimed at children from two to six years. An exhibition of work by all the Macmillan Prize winners will be held at the prestigious Foyles Gallery in Charing Cross Road, London from May 24 to 27. Fierce Grey Mouse is currently available on iTunes. A second app book, Finn’s Paper Hat, will be published on iTunes in June.